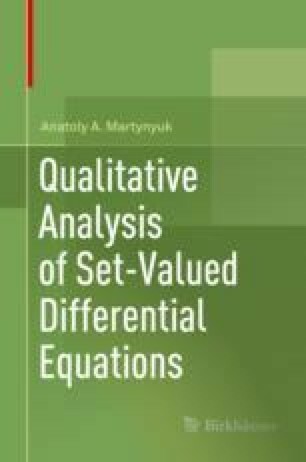 In the first part of the chapter a family of differential equations with aftereffect under impulsive perturbations is considered. For such equations, some results of set trajectories analysis based on the matrix-valued function defined on the product of spaces are given. In the second part of the chapter, for the first time, uncertain sets of equations under impulse perturbations are investigated. Estimates of the distance between extremal sets of trajectories are derived for the systems under consideration. In addition, conditions for the global existence of the sets of solutions regularized with respect to the uncertainty parameter are proved.